Shwetak Patel, the Washington Research Foundation Entrepreneurship Endowed Professor in Computer Science & Engineering and Electrical Engineering at the University of Washington, today was named a Fellow of the Association for Computing Machinery, the world’s largest educational and scientific computing society. Patel is among 53 computer scientists from a dozen countries selected for recognition as a 2016 Fellow based on their outstanding contributions to the arts, sciences and practices of computing and impact on the broader community. Patel has directed UW CSE’s UbiComp Lab since he joined the University’s faculty in 2008. He first garnered attention in engineering and entrepreneurial circles for his work on low-power sensor systems for monitoring home energy and water usage at the appliance level, a line of research he initiated while a Ph.D. student at Georgia Tech. Patel started a company, Zensi, to commercialize this research after his arrival at the UW. When Belkin acquired Zensi in 2010, he became Belkin’s Chief Scientist — a role he still occupies today — and helped the company to establish its WeMo Labs in Seattle four years later. 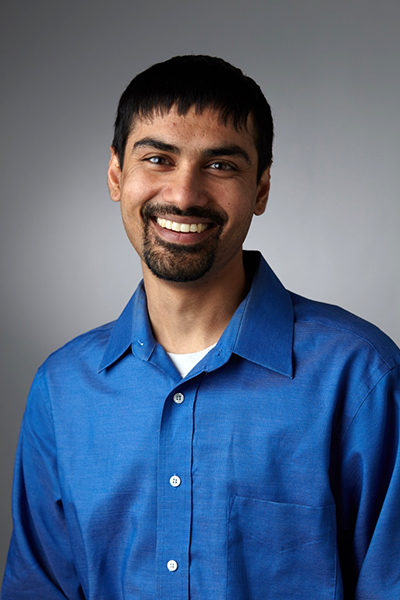 In 2012, Patel co-founded SNUPI, a UW spin-out focused on the development of a low-power, whole-home wireless sensing platform whose product, Wally Home, was later acquired by Sears. As mobile phones increased in popularity — with sensing capabilities that were becoming increasingly sophisticated — Patel recognized an opportunity to repurpose a technology used for communication and entertainment into a life-saving medical tool. He and his students set about developing applications that make use of a phone’s built-in microphone, camera, and other features — features that enabled Patel’s team to turn a typical smartphone into a powerful yet portable medical device that could transform health care delivery in low-resource settings. To date, Patel and his collaborators in the UbiComp Lab, UW Medicine and other partner organizations have introduced apps to detect newborn jaundice in vulnerable infants, measure lung function in patients living with chronic respiratory illness, screen for blood diseases such as anemia, monitor blood pressure, and more. Patel is the 20th UW CSE faculty member to be named a Fellow of the ACM, but he is not the only newly-minted Fellow with a UW CSE connection: affiliate professors Tony Hey, Senior Data Science Fellow at the UW eScience Institute, and Radia Perlman, Dell EMC Fellow, are also among the Class of 2016. Hey was honored for his leadership in high-performance computing and data science, while Perlman was recognized for her many contributions to the theory and practice of internet routing and bridging protocols. Former UW CSE professor James Landay, now a member of the computer science faculty at Stanford University, also was selected, for his contributions in human-computer interaction, with a focus on user-interface design and ubiquitous computing. Patel’s ACM Fellowship caps off a banner year in which he also collected the prestigious Presidential Early Career Award (PECASE) from U.S. President Barack Obama, received an Outstanding Collaborator Award from Microsoft Research, and earned international attention for his groundbreaking mobile health work. His courses in embedded systems, ubiquitous computing, and hardware often feature among the top-rated classes in the College of Engineering, based on student feedback. He is a past recipient of the NSF CAREER Award, TR-35 Award, Sloan Research Fellowship, and MacArthur “Genius” Award, and has graced the cover of Wired and Seattle Business magazines. Shwetak is an exemplary teacher, researcher, and member of the CSE family. He continually wows us with his many achievements and contributions to CSE, to the University, and to communities around the globe. Congratulations to Shwetak and to all of the newly-elected ACM Fellows! Learn more about the ACM Fellows program here, and read the ACM press release here.